LazyTown is a television show based on the series of 1991 books entitled: Áfram Latibær! The show is produced and directed by the gymnast named Magnús Scheving who also stars as one of the main characters. The story follow eight year old Stephanie as she moves to LazyTown and attempts to get the residents moving and athletic, a far cry from their former lazy lives. Robbie Rotten stars as the main antagonist who hates that the town has become so active and aims to thwart Stephanie’s plans. Sportacus is one of the main characters from the show played by the producer Magnús Scheving who is one of the driving forces alongside Stephanie who tries to get the residents active again. 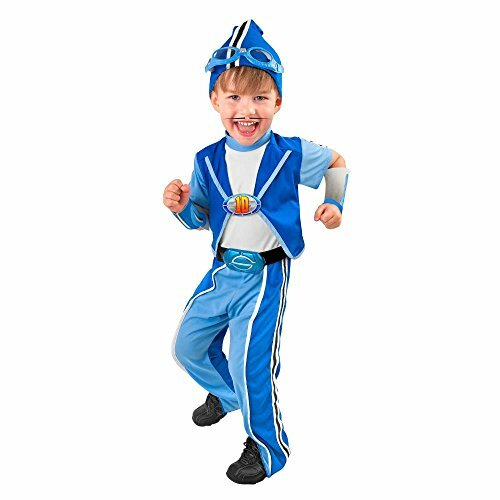 In today’s post we’ll be showing you how to put together a Sportacus Lazy Town costume that will be perfect for fans of the show, young and old! Let’s begin looking at the options for children’s costumes, no doubt you came to this page to shop for your little one. There are several different outfits available for children for you to choose from. The first outfit with the big muscles includes: jumpsuit with muscle torso and arms with belt, hat and goggles. The muscles are in the arms and chest. 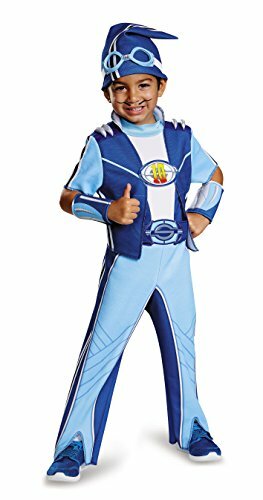 The next outfit without the muscles comes with blue jumpsuit with attached belt, hat, a single pair of gauntlets and goggles. As they are pretty similar outfits, the only defining factor being whether your child wants huge muscles or flat ones. The choice is up to them! Here is a costume for toddles that would be more suited to smaller/slightly younger children. 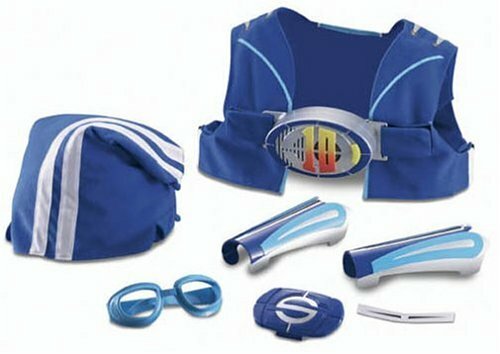 It includes everything your child will need to transform into Sportacus such as: Jumpsuit with attached belt and buckle, cuffs, head-stocking with goggles, just add a pair of shoes and a fake moustache. You could also check out this dress up set for children who just want something to play with around the house. It includes: a cap, pair of goggles, moustache, armbands, belt buckle, and magic crystal that has a motion sensor. As long as your child is moving the crystal will play noises and sound effects, perfect for promoting exercise and activity just as Stephanie intended. 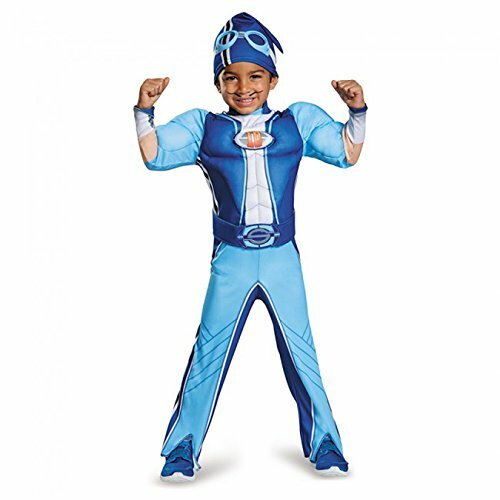 Although there are no costumes for adults available at the time of writing that shouldn’t stop you from making your own Sportacus outfit. You’ll need to be a dab hand at the sewing machine using a contrast of dark and light blue fabric to create the jacket, pants and headstocking. Then add a pair of blue goggles, a white shirt for underneath the jacket, a fake moustache and plain black footwear. There is everything you or your child will need to dress up as your favourite LazyTown character. Before you go be sure to check out our variety of other cosplay tutorials on the blog, or follow us on social media if you’d like to receive updates whenever we post new content.